5mm to 15mm in 2mm increment spanners. A flat bladed screw driver (that can also break a car windows in an emergency). All in a compact and strong single piece stamped and polished stainless steel. 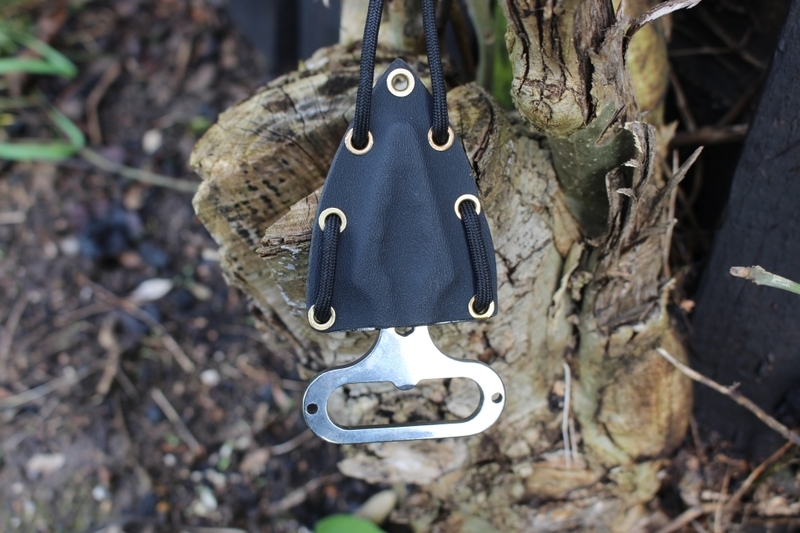 Surrounded by a brass riveted kydex sheath hanging from a 550 para cord lanyard!